Tranquil flowers bloom all summer long. This vigorous petunia provides a low-growing carpet of 3" flowers all summer; a sea of tranquility for a sunny spot in the garden or on the patio. The color ranges between blue to light lavender shades depending on temperature and sunlight. Petunia, Sky Blue is rated 2.4 out of 5 by 19. Rated 4 out of 5 by mesanger from Not blue, but a GORGEOUS color! I knew from reviews (and experience) that these were unlikely to be so blue... bought them anyway and am so pleased with the color. I think maybe Burpee should consider changing the name for greater "truth in advertising" -- but renamed these could be a bigger hit! They change color from lavender to misty lavender -- I adore them. Rated 4 out of 5 by zzzzz from Not Sky Blue grew well and have lasted a long time even with our excessive heat this summer. My only complaint is that they are not sky blue, they are definitely more purple than blue. I have gotten these in the past and they were previously more blue. Rated 1 out of 5 by DewBee from Very Fragrant, NOT Blue Do not look at picture! Dont think about the name! 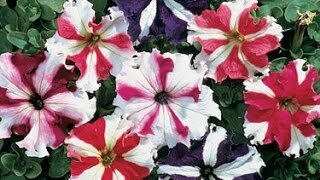 This is a LILAC petunia. 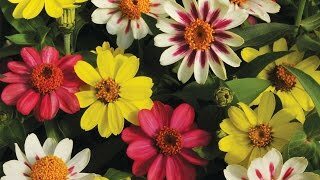 It opens almost purple and fades to lite lilac - numerous shade differences from flower to flower. I really enjoyed the fragrance. should've put on deck; planted by mailbox; extreme drought and hot summer kept me watering & deadheading often - so every time I was blessed with the perfume of these petunias. They did not mail well - one of 12 died. 2 weeks after planting another died. In august 2 more died. Rated 5 out of 5 by Mozzy from Exceptional customer service I can tell burpee puts in a lot of work to be able to provide their customers with the best products. When my package came it looked as though a package handler had decided to play football with the box my plants were shipped in. The plants, although packaged extremely well, were all damaged.. iI called customer service and without any hesitation i was sent a replacement. Thank you burpee! Rated 1 out of 5 by Hendersonville from Very disappointed I solely bought these due to their advertised and picture color of blue. Far from it! They are unquestionably purple. My 1st experience with online ordering via Burpeee. Never again! Rated 1 out of 5 by Zone6 from Purple, not blue when I opened the box I immediately saw that these are purple, not blue. Not at all like the photo. Now I have to pay to return them. Rated 2 out of 5 by TheLoneGardener from What you see is NOT what you get... Disappointed in the color. Not blue, but lavender.